And another lovely little item from the Weardrobe Closet. Short. Sweet and very coral colored. I also found I couldn't decide between striking figure skating poses or ballerina poses but soon after, I realized there's no difference really. So I went for my usual-- the awkward avoiding eye contact with the camera. Enjoy. The boyfriend left today for Japan. For a month. 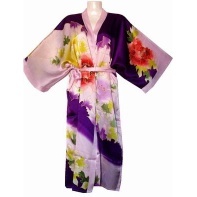 As a reminder, Ian, some of the types of kimono wrap robes that I would absolutely love you forever for can be found here and here. Happy hunting and of course, have a safe flight. And with that said, I'm officially late for work now. Ah, blogging, the ruin of so many jobs for so many people, I'm sure. P.S. Yay for larger pictures, via Photobucket. Big thanks to We Were Damsels for helping me out with that. Quick question though (as I'm really f-ing late now) is the size OK? Or are they too big? Feedback is encouraged! Size is good! Love the dress!!! The size is perfect and that dress... Amazing! That color looks really nice on you. the size of the photos is perfect!! Oh wow I love the colour of this dress and the poses are perfect:) Yay for bigger pics!! i can tbelieve you dont get to keep this . its was made for you . it perfect and the color ! haha i love those dont look at the camera pics. i take mine like that all the time . 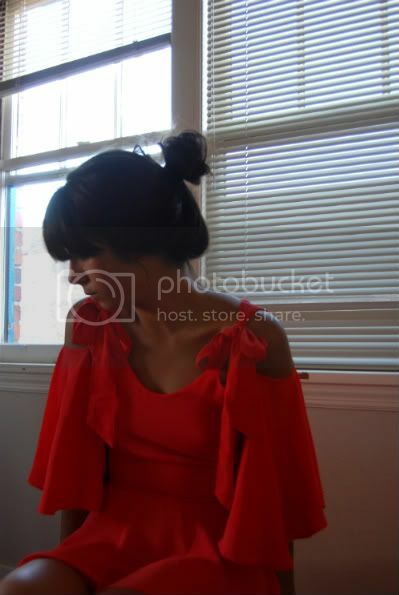 I know I commented on this on Weardrobe, but I still can't get over how beautiful this dress is! It fits you perfectly! thanks for your comment on Orchid Grey too! amazing dress !!! the color is so you !!! The size of the photos are great, and that dress is just the most amazing colour, it really suits you! P.S. I've nominated you for an award over on my blog. How do you get on this weardrobe closet? I've seen you mention it multiple times I'm totally jealous of all the clothes you get to try out! oh i need that dress now! !its the best summer dress ive ever seen!!!! @cutandsew: You can apply to be part of it. You're a part of Weardrobe, right? It's really as simple as clicking on a link to apply and making sure you're active with your outfit updates everyday. So easy and fun! What a sweet little dress...love it! I'm over the moon about those crazy sleeves...so adorably perfect! Oh, gosh. That dress and that color are amazingness!